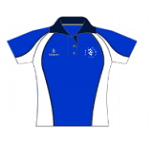 At our last committee meeting we discussed the idea of offering all paid-up members of the club a free or heavily discounted (dependant on overall cost) hockey playing shirt with a number printed on the back. The number on the back of your shirt will be your unique club membership number. What the committee would like to know now is whether you, as the members of the club, are happy for us to spend your money on these shirts. We thought it would be a nice gesture to mark the opening of the new pitch and with a new supplier all of our teams can turn out on a Saturday in strips that make us look like the unified club that we are. The idea being proposed is that those people who have paid for the 2013-14 season and those who pay for the 2014-15 season before the deadline will all be entitled to a new shirt / reduced cost. This could also be a great incentive to encourage new players to the club as well. For this to happen we need to know your thoughts, please – good or bad – so please contact the club by 21st April. We will then discuss your thoughts at our next committee meeting.